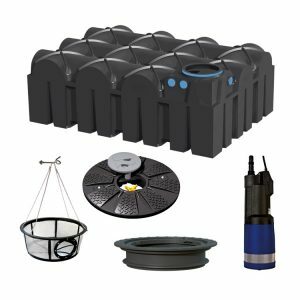 Owls Hall complete rainwater systems for home and garden, or garden watering only are built using the highest quality components to be robust, reliable and easy to install. The shallow dig tanks minimise excavation depth saving on installation cost and risk, whilst also avoiding high water tables. 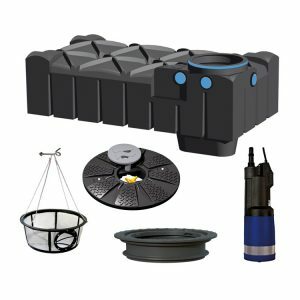 They come as a complete kit and can be adapted to suit your individual site as necessary. 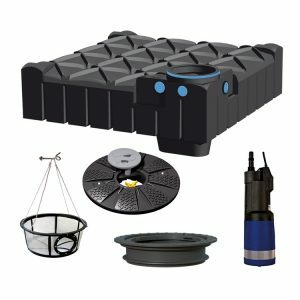 The Twin Tap Rainwater harvesting system for garden usage, utilises our popular F-line shallow dig tank to store collected rainwater from the roof. The Twin tap model has two taps built into the lid of the tank, making it easy to connect a hose and water the garden. This system is ideal f you do not want to have a tap on the wall of your property and great for any DIY enthusiasts. Child proof lid with concealed brass tap distribution point. The system can be upgraded to allow for deeper inlets but cannot be installed in a driveway. Please view the individual systems below for more in depth description and system drawings. The Owls Hall 1500L Twin Tap Garden Rainwater Harvesting system is the easiest system to install on the market. No laying of pipe to connecting taps on a building, the Twin Tap system is a true plug and play system. The automatic pump connects to taps within the lid of the tank! So simply plug the pump in, connect the pump to the lid and start watering the garden! The Flat tank has a 25 year warranty, its shallow design makes DIY installation easy! Why not use the harvested rainwater to water plants or wash the car! The Owls Hall 3000L Twin Tap Garden Rainwater Harvesting system is the easiest system to install on the market. No laying of pipe to connecting taps on a building, the Twin Tap system is a true plug and play system. The automatic pump connects to taps within the lid of the tank! So simply plug the pump in, connect the pump to the lid and start watering the garden! 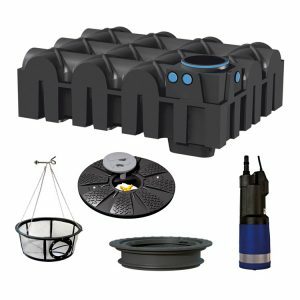 The Owls Hall 5000L Twin Tap Garden Rainwater Harvesting system is the easiest system to install on the market. No laying of pipe to connecting taps on a building, the Twin Tap system is a true plug and play system. The automatic pump connects to taps within the lid of the tank! The Owls Hall 7500L Twin Tap Garden Rainwater Harvesting system is the easiest system to install on the market. No laying of pipe to connecting taps on a building, the Twin Tap system is a true plug and play system. The automatic pump connects to taps within the lid of the tank!